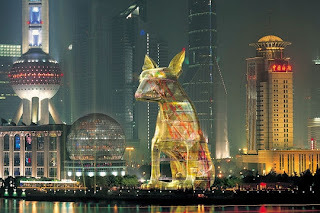 Shanghai, the Chinese Megapolis, in some respects always ahead of other regions or at least claiming to be, is going to be the first place in China to implement a policy of the "Single Dog." 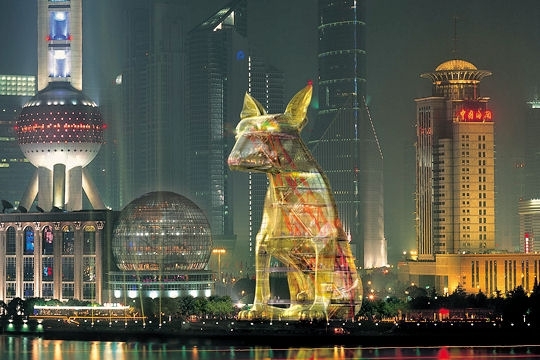 From the 15th of May this year, Shanghai residents will only be permitted to have one dog as a house pet. The City government has established rules by which extra puppies would have to be entrusted to another family, a "dog-free family" or to a designated government agency. Keeping more than one dog above the age of three months will be punished through heavy fines. It is estimated that close to 1 million dogs are being kept in Shanghai, many of them not officially registered. Exceptions will be made for families who already have two officially registered dogs. Shanghai is the only place to have a universal system of health insurance, at least for official residents. I wonder if this health coverage system includes house pets, not to speak of "surplus" dogs being taken over to government approved agencies. Nobody has yet ventured to explain what will happen to these puppies being born last in line and brought to the care of these agencies. Fortunately, cats have been excluded from this quota!